Domestic robots are sort of here, with self-driving and speakers that control your smart home, but Mayfield Robotics’ Kuri could be the first real home robot, combining mobility and true interaction with approachable, friendly design. Mayfield Robotics is a startup fully owned and funded by Bosch, with a team of co-founders that have extensive experience in the field of robotics, but also in interaction design and machine learning. Their first product is Kuri, an intelligent home robot making its official debut at CES this year, with pre-orders beginning in the U.S. and a target ship date of sometime during the holidays in 2017. Kuri responds to voice input, and in this way is similar to other devices like Google Home or Amazon Echo. There’s a four-microphone array built into its compact, vaguely conical body so that it can hear you no matter where you are in the room, and it has a speaker built-in, too. But Kuri doesn’t respond with words; instead, it uses sounds, lights and its expressive eyes to communicate responses back to a user – all of which is a key part of its design. The robot also has a built-in HD camera tucked behind one eye, and a range of sensors to stop it falling down stairs or bumping into furniture. it moves on a three wheels that help it rotate in any direction, and move from room to room with easy as it follows you around the house or goes where you tell it. There’s a processor on board to handle tasks like voice and image recognition processing locally, and it’s programmable through easy tools like IFTTT to expand its feature set. The diminutive robot is only under two feet tall, and about a foot wide with a total weight of 14 lbs. Both iOS and Android apps are available to help control and interact with Kuri when you’re not using him (Mayfield genders the robot male in press materials and conversation) and it also seeks out its charging pad when its battery needs topping up. It’s tempting to think of Kuri as a rolling Echo with the ability to blink, but the robot is much more than that. Its designed to be a companion first, and an assistant second, and that meant a design process that was far different from what Amazon undertook with its smart speaker. Kuri’s movement design was led by a longtime Pixar animator, in fact, which Mayfield believes is key to making it something that people will not only be comfortable using, but that will want to interact with regularly. Each inclination of Kuri’s head, each blink of its eye, its body shape and its pacing and locomotion design were all carefully considered, with the thought in mind of building something that was not necessarily optimally efficient or functional, but that was approachable, calming and inviting. Kuri needed to inspire trust in its users, and so the design process involved eliminating any motion, sound or type of movement that would potentially unnerve its users. The Pixar DNA is apparent in Kuri’s finished product. The robot looks like something that’s leapt out of Wall-E, and the end result is a robot you want to befriend. I find myself thanking Alexa absent-mindedly when using my Echo, but I’d never consider Amazon’s virtual assistant a companion, per se; with Kuri, I find myself already coveting its affection even without owning one. Kuri is also different from things like Home or Echo because it’s designed to be its own robot; that is, at launch at least, it won’t have a long list of third-party integrations. But it will be able to control things via IFTTT; to let you check in on your house and its various rooms while you’re away using its HD camera; to read to your kid before bed; and to play games and podcasts as it tails you throughout the day. The team at Mayfield Robotics wanted very much to create a satisfying, full experience from the moment you unpack Kuri, and so the focus was not on opening up integrations from day one, but instead on building something you’ll feel has value all on its own. It’s a good strategy, and one that will hopefully help Kuri have more broad appeal at launch, since it doesn’t require connecting a whole host of third-party services to become truly functional. We’ve long anticipated a day when we welcome robots into our homes, as caregivers, assistants and service companions. Kuri is not the Jetsons’ Rosie, or R2D2, but it is a step in that direction, and one that focuses on the big elements still needed for getting us to that future – interaction design. Robots being truly welcomed in the home will need to arrive first at a place where we see them as comfortable presences; no one’s looking to share their domestic space with factory floor production robots, for instance. Kuri’s lineage in the entertainment realm is a smart starting point for a domestic bot, since it plays on our familiarity and affection for robots we’ve seen portrayed in film in television, including Wall-E, Rosie and R2D2. And if we’re ever going to elevate robots in the home beyond the level of automated appliances, that’s a necessary step toward greater adoption. 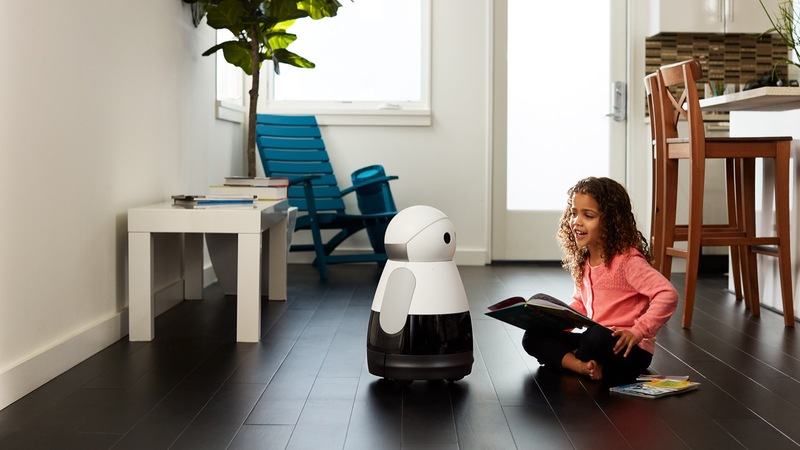 Mayfield Robotics is asking pre-order customers to put down a $100 deposit now for Kuri reservations, with the balance of its $699 asking price due at shipment. It’ll still be almost a year before we see if its focus on personality is truly the right approach for broad acceptance, but from what I’ve seen, Mayfield is off to a very promising start.